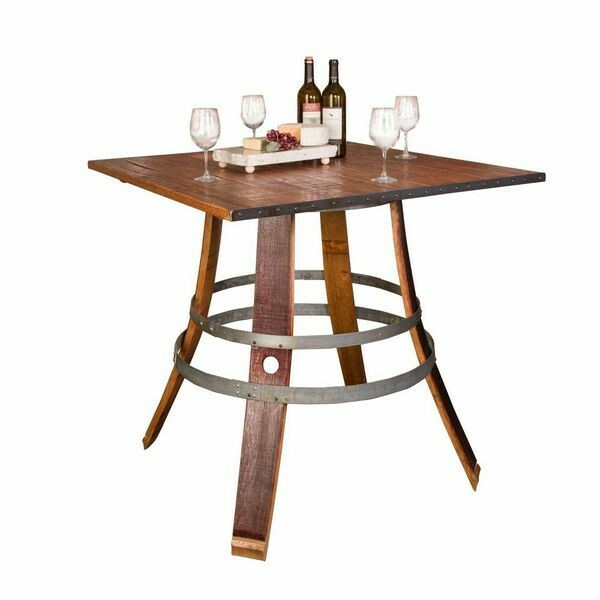 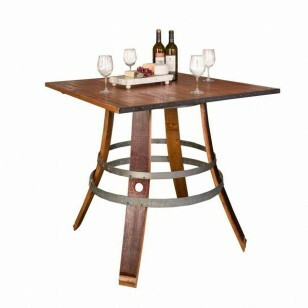 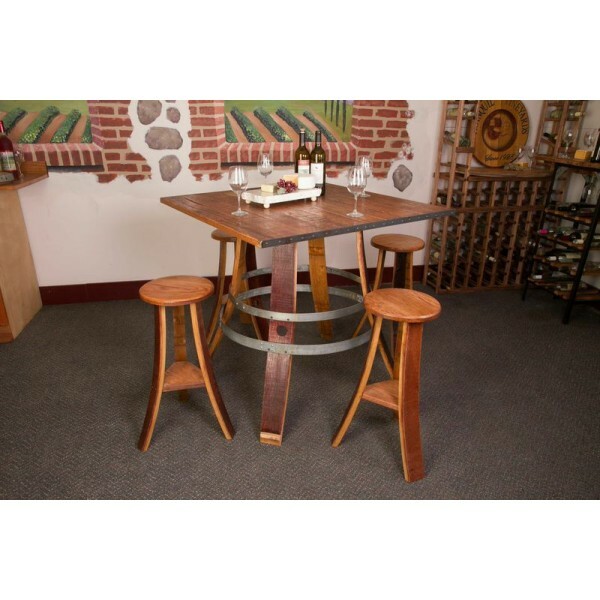 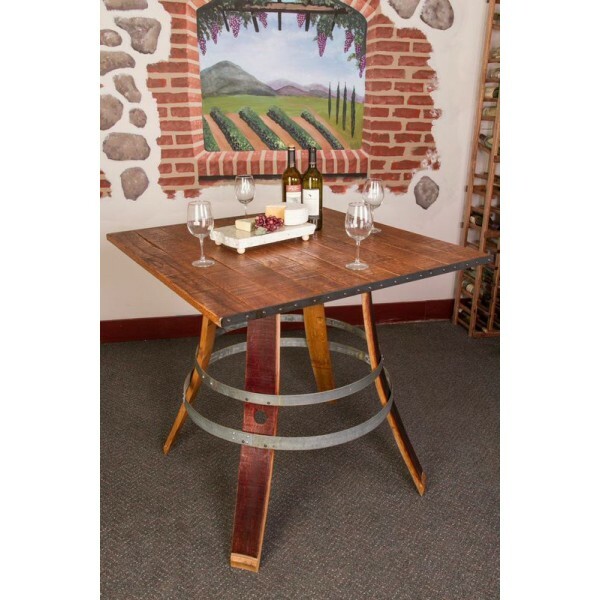 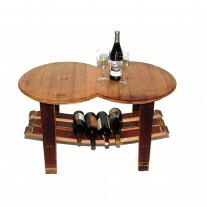 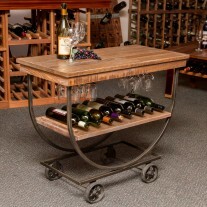 Wine Stave Tavern Table base and legs are made from retired wine barrel staves showing off the natural red wine stain characteristic of authentic wine barrels. 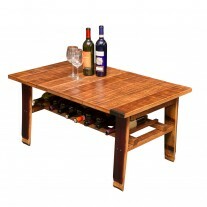 Solid wood table top is constructed from reclaimed rough sawn white oak. 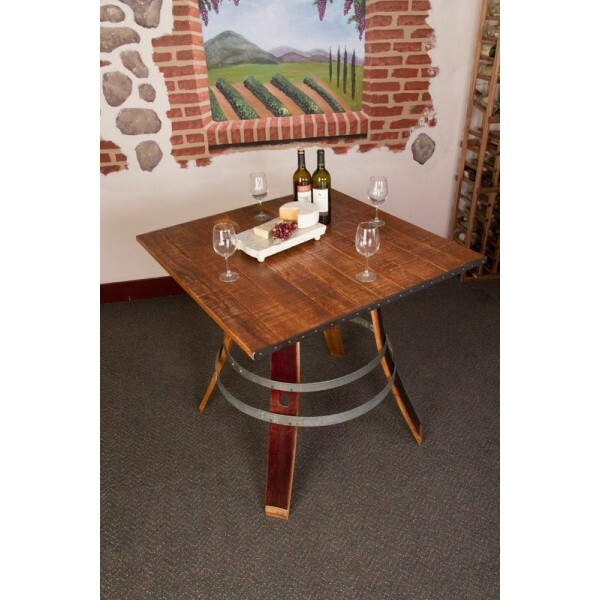 Wine Stave Tavern Table base and legs are made from retired wine barrel staves showing off the natural red wine stain characteristic of authentic wine barrels. 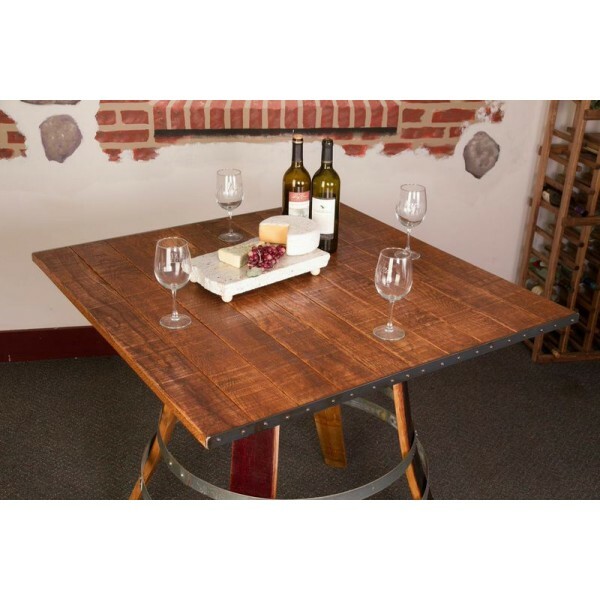 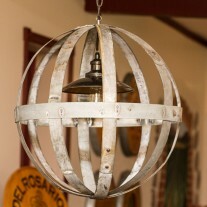 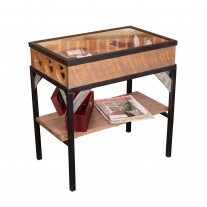 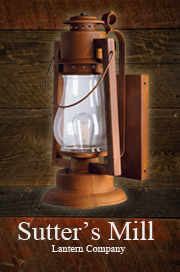 Solid wood table top is constructed from reclaimed rough sawn white oak with hand worked iron end braces. 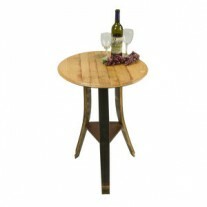 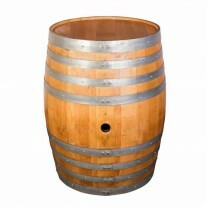 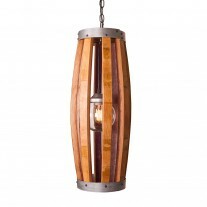 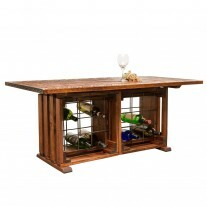 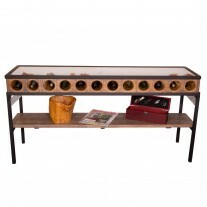 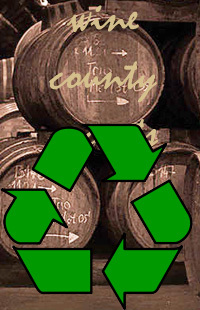 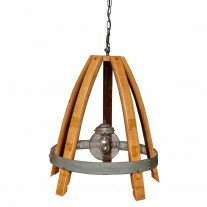 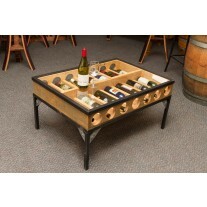 This elegant design highlights the natural beauty of the white oak combined with naturally wine stained legs.